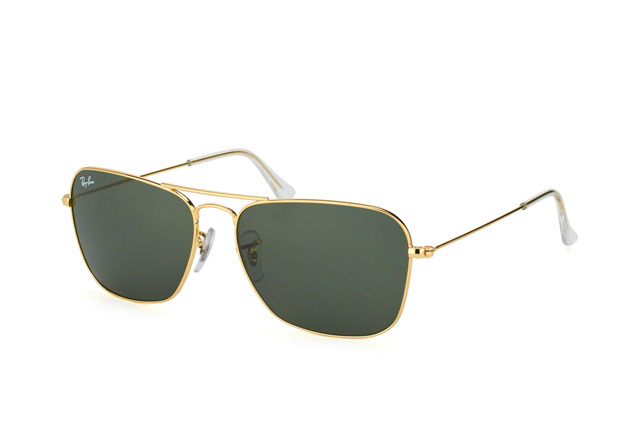 With their super thin metal frames, these Ray-Ban Caravan RB 3136 001 sunglasses are timelessly chic. The ideal sunglasses for people who want a single pair to wear on all occasions. 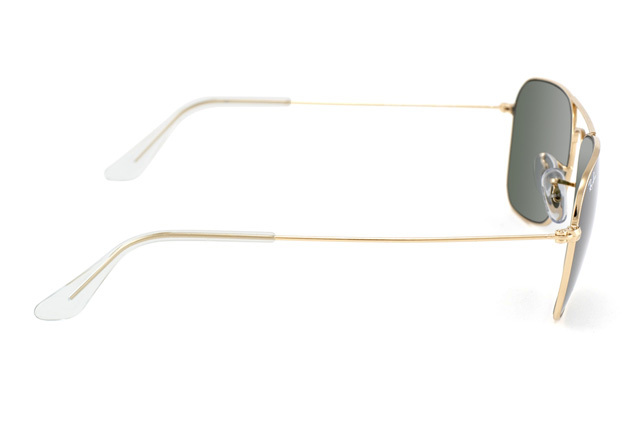 These unisex sunglasses feature the stylish combination of dark green lenses and shiny gold frames. 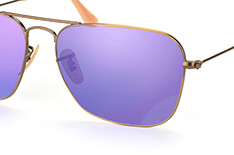 The lenses are equipped with a UV 400 filter which will keep your eyes safe from UV rays. 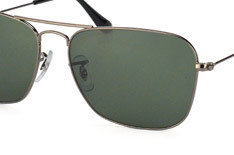 For many people 'Ray-Ban' is synonymous with chic designer sunglasses and here you can see why. 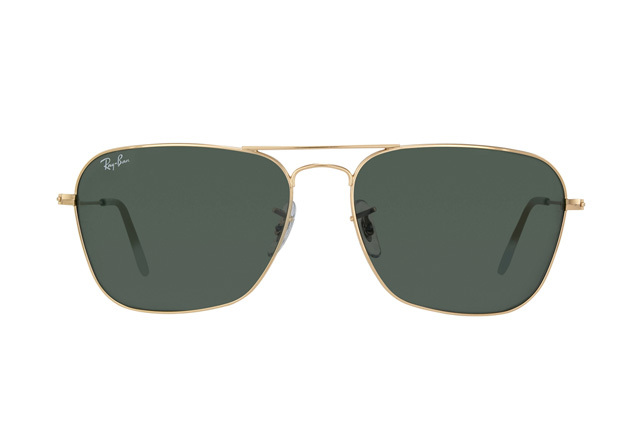 You can have your Ray-Ban Caravan designer sunglasses winging their way to you in no time thanks to our super fast and trackable delivery service. 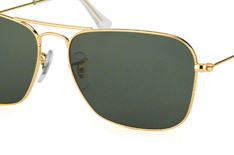 If you place your order by 2pm, we will have your sunglasses mailed to you the same day. If you want to return them, that is no problem either: just do so within 30 days, no questions asked. Both delivery and returns are free of charge. No wonder Mister Spex has 1.5 million satisfied customers and counting across Europe - we are well known to be Europe's favourite optician!